Oyub Titiyev. School teacher. Children’s boxing coach. Human rights activist, head of the Chechen branch of the Memorial [human rights organisation]. In January 2018, Oyub who was driving his Lada Kalina car was stopped by traffic police officers. During an inspection, a police officer found a package with marijuana in a car of a 61-year-old school teacher, children’s coach and human rights activist (just at the moment when another policeman in the presence of Oyub was inspecting the trunk). Since then, Titiyev has been in prison. I have known about the work of Oyub Titiyev for many years. I know how much he did for the Chechen people, how he helped people in the most difficult situations, how he literally repaired with his own hands destroyed schools in Chechnya after the war, and personally took out the wounded and sick for treatment. Oyub Titiyev saved many people from death. When at the peak of anti-Caucasian sentiment in Russia, a virtually any resident of the North Caucasus was considered a terrorist, it was Oyub Titiyev who helped defend prisoners from torture and beatings in penal colonies and prisons. But now Titiyev is being judged, a decent and honest person is being caged surrounded by eight armed men. Humiliation is a favorite tool of the judicial system in our country. In modern Russia, the authorities do not like real fearless human right activists, because they interfere with creating the situation of total lawlessness, torture, mockery, killing of people, and draw attention to criminals and crimes. That is why, human rights defenders, their families, their children are being persecuted. Probably it will not be an exaggeration if I say that there is not a single person in Russia or in Chechnya who would believe that Oyub Titiyev is a drug dealer. It is clear to everyone that the criminal case against Oyub is politically motivated, that it was fabricated. But people are intimidated. People are silent. Only a few people in Chechnya will dare to stand up for Oyub Titiyev today. So why is this case so important for every person in Russia? 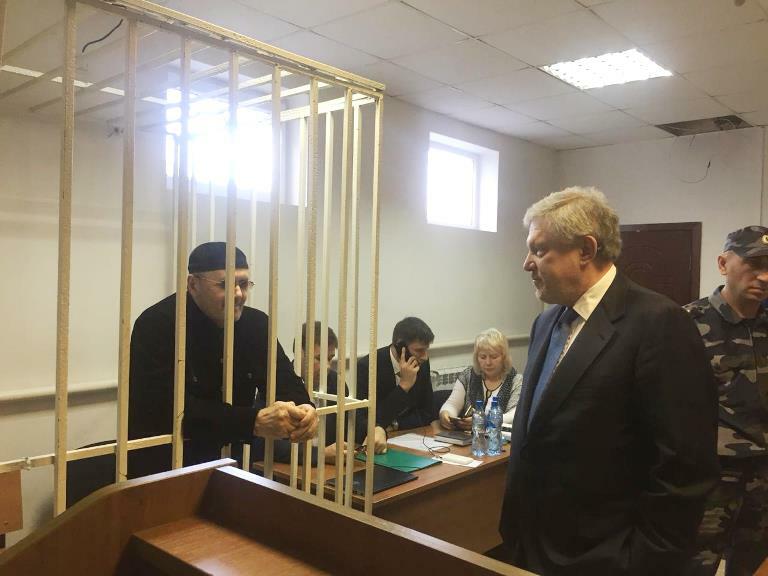 Because in the mafia-state, where courts are completely subordinate [to the authorities] (and in many cases they simply fulfill an order), anyone can turn out to be in the place of Oyub Titiyev with drugs thrown in his pocket or car. Therefore, it is important for everyone to spread information about Oyub, write about this outrageous injustice, and talk about bullying an innocent person. Saving Oyub Titiyev, you are saving yourself and your children. When the Chechen people free from fear, they will be proud of and thankful to their courageous, honest and noble defender Oyub Titiyev. Posted: November 29th, 2018 under Human Rights.